We are aware of your contribution to the exhibition industry and I warmly acknowledge your hard-work and commitment to set up new benchmarks of excellence, ever striving for efficiency & perfection . I am happy to share with you that the Exhibition Excellence Awards 2018 will be held on 17 March 2018 at the India Expo Mart, Gr. Noida, Delhi. This is my humble invitation for you to participate in an initiative for our very own industry, so that we can celebrate our achievements together and raise a toast to our success and hard-work done in the year gone by. Hailed as a Mega Initiative for The Indian Exhibition & Convention Industry & Supported by UFI, IAEE, IEIA, ICPB, IESA & NSIC, the nominations for Exhibition Excellence Awards 2018 are now open. With many new innovations in design and format, unique industry specific nomination categories, the EEA 2018 will be much bigger & grander – A glorious extravaganza like never before! This year the jury contains the names of well known International & National Industry veterans. The first two editions of Exhibition Excellence Awards were immensely successful in promoting the Indian exhibition industry at a global level. Widely publicised in National & International media & trade publications, the event will also be aired on television. A special Coffee table book will be released to showcase all champions of Indian Exhibition Industry, and the book will be circulated widely! A lot of emphasis has been made to rope in reputed jury on board, from diverse backgrounds and genres, to make the event completely fair and transparent. Even the nomination categories are purely based on numbers and easily quantifiable data. 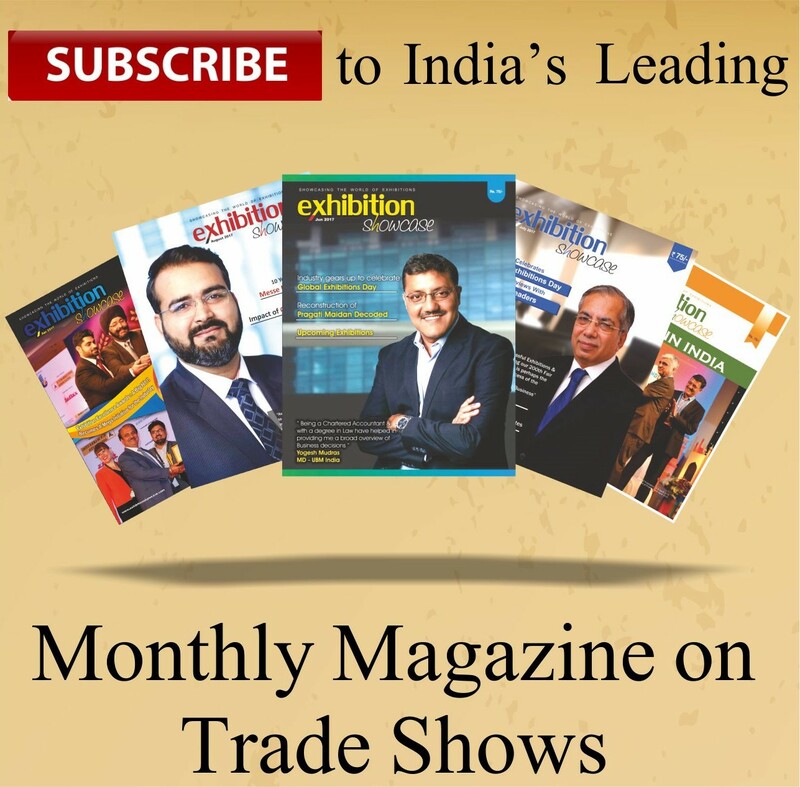 For Exhibition Organisers, this year special focus has been given to industries. Therefore, shows happening across 22 sectors will get a direct chance to come forward and claim their glory. This special effort to include industry specific shows has been made to apprise the government, media & international community of the shows which are serving the respective industries. So however big or small your show might be, if you organise a show in any of the mentioned sectors, then you must come forward to nominate it, for a report will be compiled to showcase the shows serving each industry!! We do hope that you will understand that we cannot create a category for each and every sector and which is why you will find some sectors clubbed together to form a common category. For example Printing and Packaging have been clubbed together to form a category. Shows that serve either or both of these sectors can file their nominations in this category. Even if the sectors seem unrelated, you can be rest assured that the winner award certificate & winner trophy will read – The leading Show (Your particular category name). To keep the process based on quantifiable, reliable data, we have used the simple yet effective matrix of exhibitor count to evaluate the winners in each of the Leading Show category. Its true that exhibitor count is not the only parameter to ascertain success and that is why we have incorporated several other general categories to measure excellence on the basis of co-held seminars, foreign participation, year on year growth, B-Cities shows while also keeping the Live Presentation categories for the subjective parameters. As this is a initiative for the industry, i would urge you to come forward and participate wholeheartedly, because together we all are contributing to make this industry get its due recognition and visibility. In this wake, i request you to spare 10 minutes for understanding the form and filling it is extremely simple through the online link. Just in case of any queries, please feel free to get in touch with me. You can log in at www.exhibitionexcellenceawards.com for all the event details and online nomination links. Leading Shows in each sector will be evaluated on basis of number of exhibitors that participated in 2017 edition. Top Ten shows in each sector will be highlighted and even small shows can be assured of visibility. Moreover, a report will be compiled to showcase the fairs serving each industry. So please participate wholeheartedly! Nomination in any one category of your choice and for all live competitions is free of cost. AGRICULTURE, HORTICULTURE, DAIRY, POULTRY, PETS, FOOD, BEVERAGE, HOTEL. BUILDING, ARCHITECTURE, CONSTRUCTION, SMART, CITIES, REAL ESTATE. ALTERNATE MEDICINE, BEAUTY & COSMETICS, TRAVEL & HOSPITALITY. ENERGY, OIL & GAS, SPORTS, FITNESS, YOGA, ALTERNATE MEDICINE. Apart from these sector specific categories, there are seven general categories. Exhibition Organisers can apply in multiple categories, up to a maximum count of seven categories in total! This year the focus is on specialities, so as to clearly identify the best companies serving the respective segments mentioned below! To encourage only serious and genuine contenders, there is a nomination fees of Rs. 3000 per category. You can fill up multiple categories. The nomination fees will also cover for one complimentary event invite! So nominate now online and redeem your chance to glory! The winners will be awarded in front of top national organisers and leaders in Indian exhibition industry, media and govt. officials. Please participate wholeheartedly in this mega initiative for the industry, out of the nine categories mentioned below. Live Competitions are the best platform to promote your brand in front of the world!! Top three teams in each category will be evaluated from the nominations received and they will be given 3-4 minutes to give a presentation. The final winner will be disclosed on the basis of the Jury scores. As this is a initiative for the industry, i would urge you to come forward and participate wholeheartedly, because together we all are contributing to make this industry get its due recognition and visibility. In the Exhibition / Convention centres space, this year there are just two primary categories. One is to determine the best MICE venue in Metros and the other is for Non-Metros. Top 5 venues each in both categories will present their best practices to the jury and mention their scale, capacity, number of events, green initiatives, features and facilities. Five best nominations will be shortlisted on the basis of their replies and then these five will present at the EEA2018. The final winners will be decided on the basis of jury scores. The Jury comprises of very competent, fair and reputed industry professionals. Apart from these there are two categories for MICE Hotels and one for Corporate excellence. For Conference Organisers, there are three broad categories. Nominate online at www.exhibitionexcellenceawards.com. We look forward to your participation in this mega initiative for our exhibition industry.